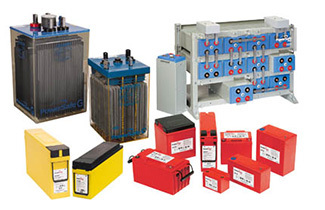 ﻿ Products - Oldham Batteries Canada Inc. 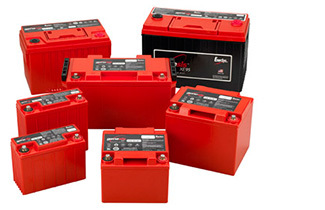 The industry’s broadest range of flooded and VRLA batteries for telecom applications, PowerSafe products operate everywhere from central offices to outside plants. 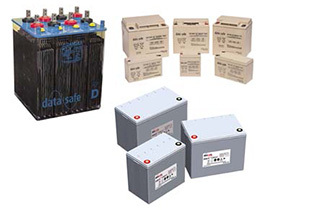 PowerSafe batteries also handle utility power generation transmission and distribution applications. 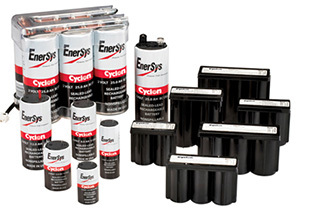 Featuring premium pure lead, standard and gel VRLA technologies, Genesis batteries support many mission-critical pplications,including security systems, emergency lighting, medical and more. A cost-effective alternative to conventional lead alloy batteries, CYCLON batteries feature a sealed, rechargeable pure-lead design inside a rugged steel casing. At work worldwide in medical facilities, security and emergency lighting systems, aerospace applications and more. Designed for the high power requirements of UPS systems, the DataSafe battery line backs up IT applications from workstations to central data processing centers. 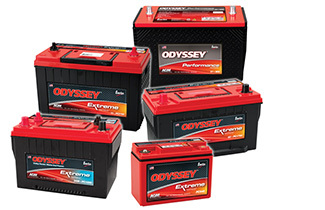 Engineered with TPPL technology, Odyssey batteries deliver the overall power and 3X the life of conventional batteries. The Odyssey battery powers trucks, extreme on- and off-road as well as marine applications, diesel back-up generators and more. 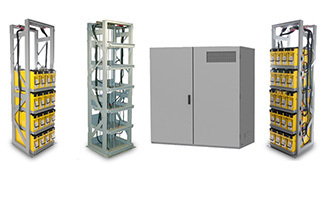 Oldham offers both standard and seismic racks and cabinets designed and built for Reserve Power applications. We can offer complete key in hand battery systems that meet specific technical requirements such as IEEE, NEBS or UBC categories. For additional protection, all racks can be installed with Spill Containment System designed to contain and neutralize electrolyte in the event of a spill.